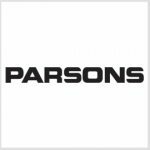 Parsons has purchased Williams Electric for an undisclosed sum as part of the Pasadena, California-based engineering services contractor’s move to expand its control systems business. Fort Walton Beach, Florida-based Williams Electric is a privately held company that provides electrical, control system integration, general contracting and energy infrastructure platforms and services for defense and federal agency clients, Parsons said Tuesday. 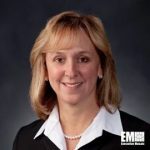 Chuck Harrington, Parsons chairman and CEO, said the acquisition is part of the company’s strategy to help protect operational technologies and other critical infrastructure assets from cyber threats. “Parsons’ existing contractual relationships with numerous customers within the departments of Defense, Energy, and Veterans Affairs and elsewhere are ideal environments for our now expanded control system offering,” said Carey Smith, Parsons federal group president. Smith, an inductee into Executive Mosaic’s Wash100 for 2017, said Parsons expects the acquisition to result in new opportunities and help expand its control systems market presence in the Middle East and other regions. The $50 billion control system market is estimated to record a compound annual growth rate of at least 10 percent over the next five years. Williams Electric runs offices in Maryland and Virginia and has employees at over 100 client sites both in the U.S. and overseas.